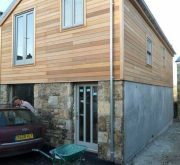 Firstly, in addition to our timber cladding we have been stocking fibre cement for 6 years. We are now the James Hardie Premier Stockist for Devon and Cornwall. 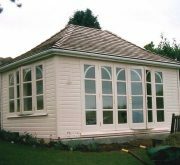 The James Hardie premium product is the HardiePlank which we stock in 19 different colours. 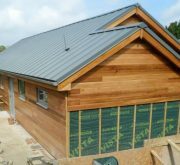 Therefore, combined with a range of aluminium and fibre cement trims the HardiePlank represents a contemporary option for cladding. 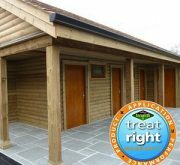 All of our tanalised stock of TGV, Shiplap, Shadowgap and Loglap is machined from redwood pine and pressure treated with new generation Tanalith-E preservative. 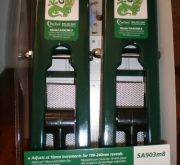 This means these products are backed with the Manufacturer’s 15 Year Treatright Warranty. 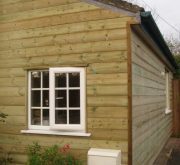 Shiplap cladding includes three well established tanalised redwood pine profiles, including 125mm and 150mm widths. Therefore in 2017 we also added tanalised Shadowgap as a new option. 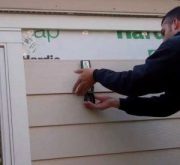 Shadowgap, also known as angle channel cladding, is machined so that each board fits together with adjoining boards to allow dimensional movement. 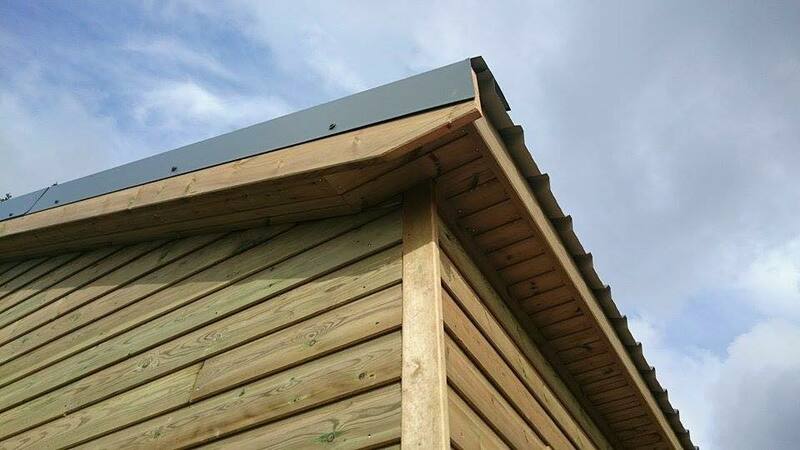 The lap joint on this board is machined to provide an interesting contemporary appearance.